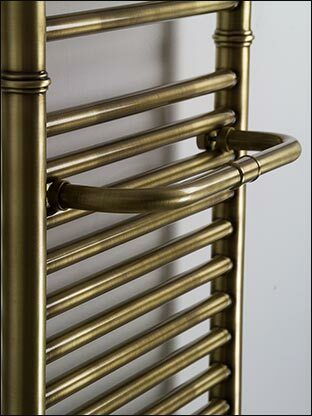 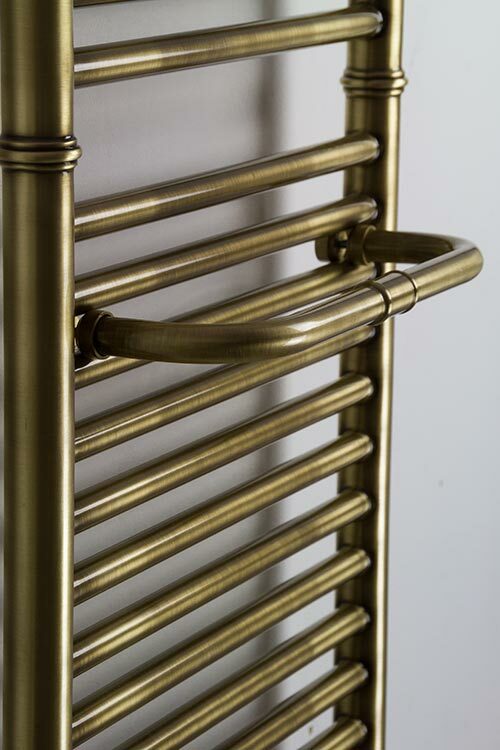 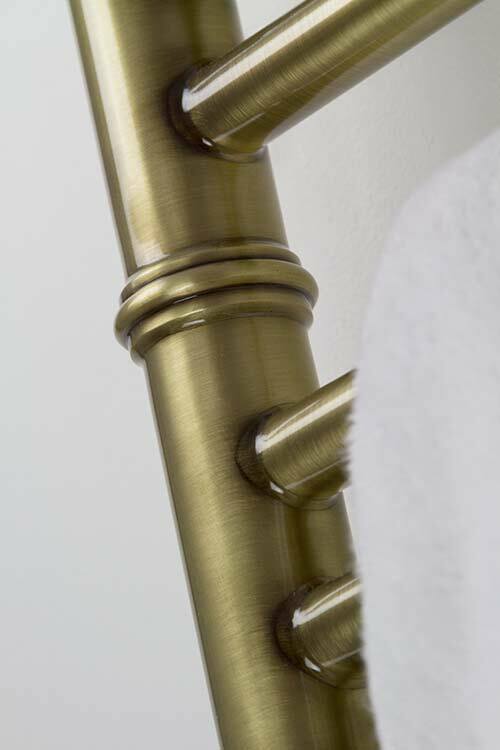 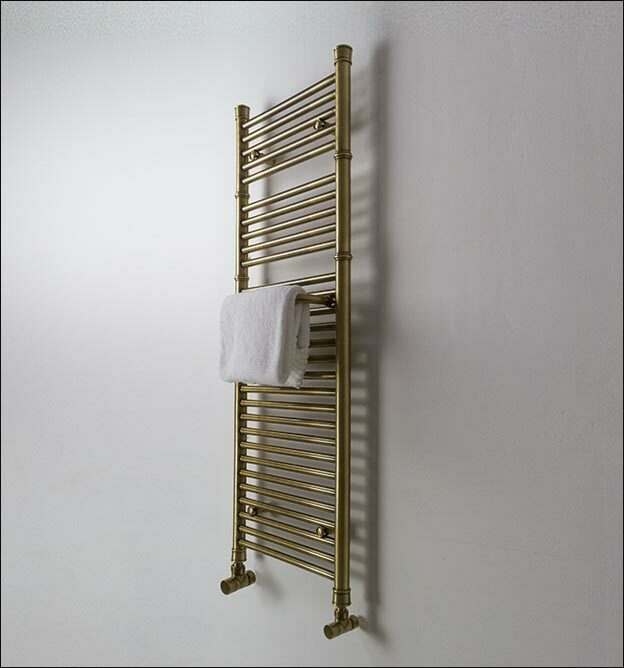 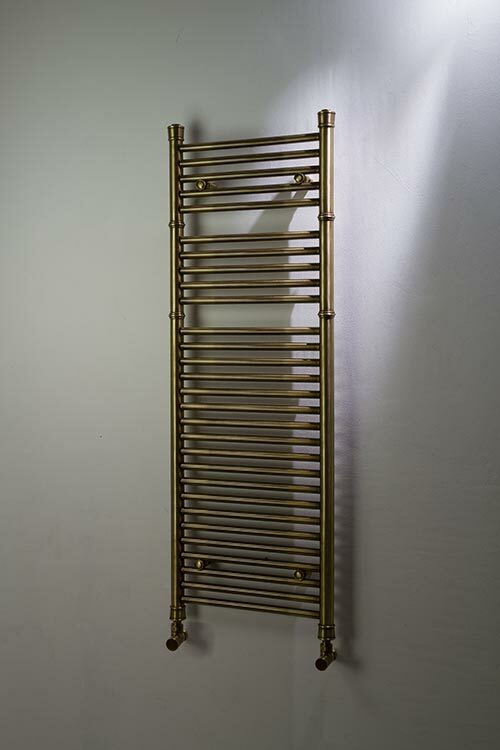 The light antique brass finish on this traditional styled multi-rail heated towel rail makes an attractive and stylish finish within a bathroom design. 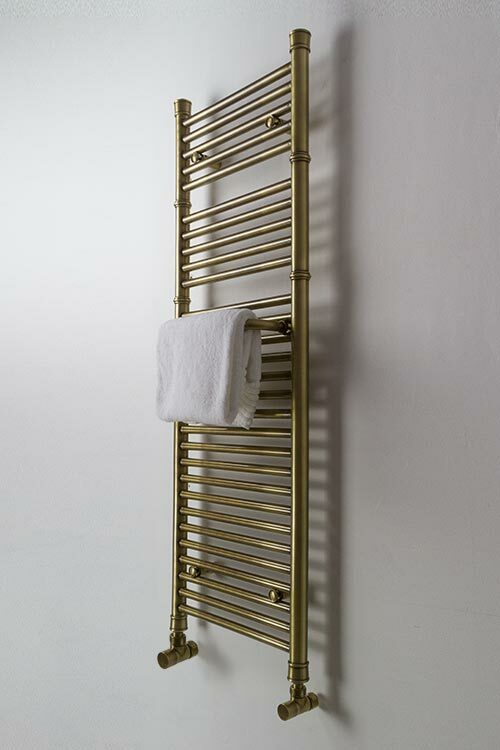 Supplied with a brushed surface with a lacquered protection so it does not tarnish, this towel radiator is available in 9 rail sizes and is suitable for central heating, dual fuel and electric only systems. 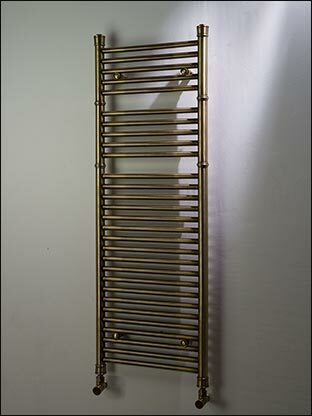 This bathroom radiator can be supplied with an extra towel hanging bar on request. 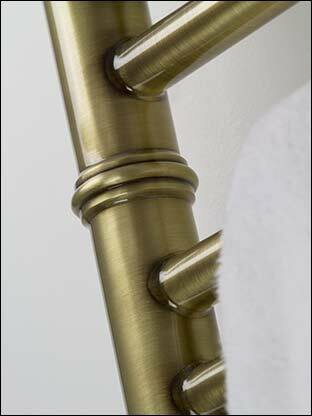 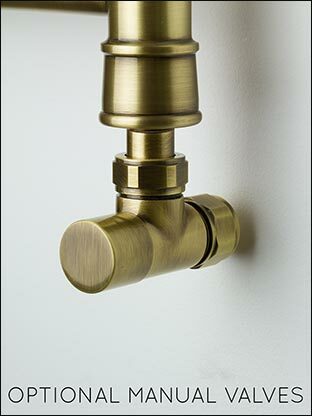 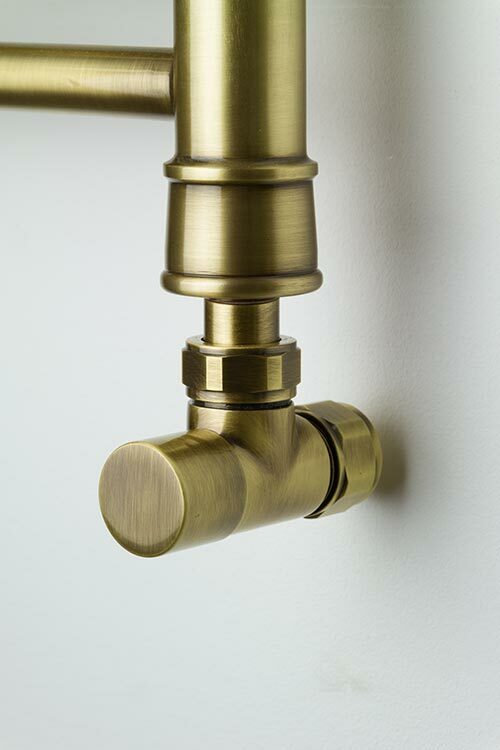 * Unique light antique brass finish.